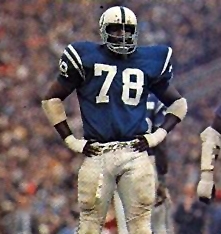 Bubba Smith was a towering figure as a member of the Baltimore Colts. There are some athletes whose persona is greater than reality. For anyone who followed the NFL in the 1960s and 70s and movies over the following decades, Charles “Bubba” Smith was one such individual as his size and character made him a recognizable figure and a star beyond his performance on the field. 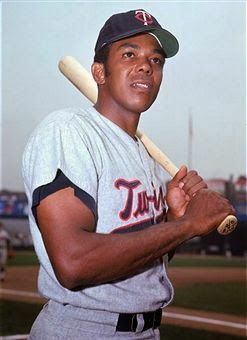 Smith passed away on Wednesday, reportedly of natural causes, at the age of 66. A towering figure at 6-foot-7 and 265 pounds, Smith came onto the national scene as a two-time All-American defensive lineman at Michigan State. In 1966 he was part of a Spartan’s squad that faced Notre Dame in the “Game of the Century.” The game ended in a 10-10 tie and MSU finished second in the final rankings. Drafted by the Baltimore Colts with the first pick in the 1967 NFL Draft, Smith spent five seasons terrorizing quarterbacks on some premier Baltimore squads. The Colts went 11-1-2 during his rookie season and then in 1968 posted a 13-1 record and reached Super Bowl III.